One of Helck's boyhood heroes was the race car driver Barney Oldfield. 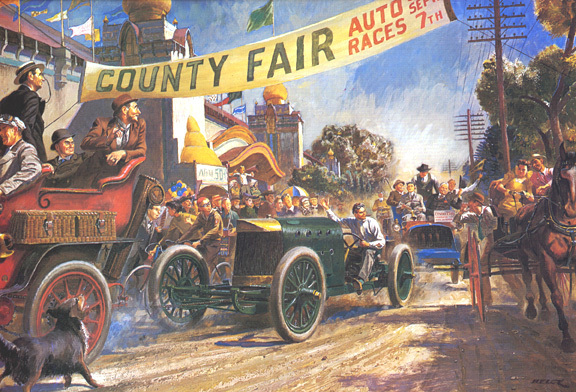 Here he has portrayed him arriving at a country fairgrounds in his Peerless "Green Dragon", probably to dazzle the locals with a few demonstration laps on the horse race track. This was part of the series that Helck did for Esquire magazine in 1944.